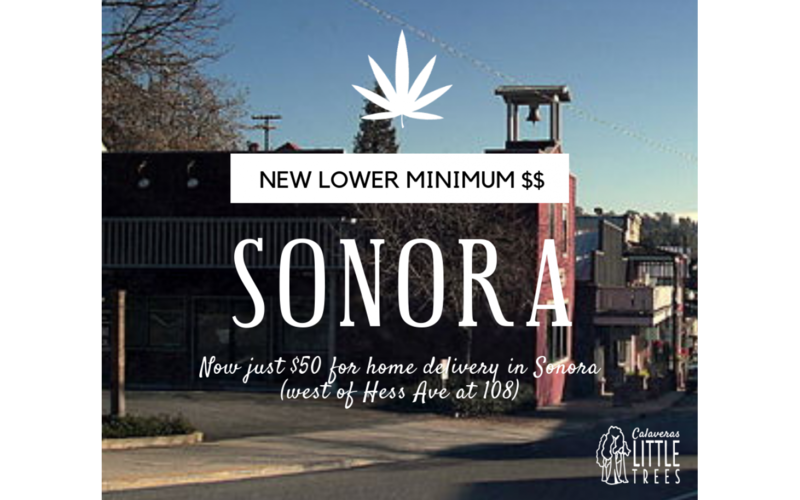 Sonora marijuana delivery – new $50 minimum, no fee! We’re so excited to be able to lower the minimum order for Sonora patients! Now just $50 gets you free, safe, reliable home delivery. Call or order online any day of the week before 2pm and soon enough a friendly delivery driver will be at your door!